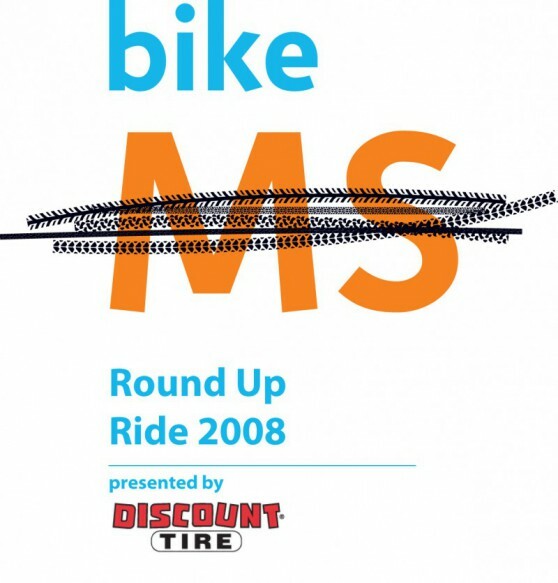 The Bike MS: Round Up Ride 2008 presented by Discount Tire, will take place on Saturday, March 29 and Sunday, March 30, 2008 in Florence, Arizona. As always, Bike MS is fully supported with rest stops, medical personnel, and SAG (support and gear) vehicles to help along the way, and also includes an overnight party with food and entertainment. Please do not unload items at Heritage Park before parking. At each color coded parking lot there will be a designated area where riders may place their labeled overnight items (sleeping bag, tent, personal luggage). All items MUST be labeled with your name, address, and phone number. All parking lots are close enough to Heritage Park so that cyclists can ride their bikes over from their parking lot. Once you leave your luggage at your parking lot, it will be transported back to Heritage Park for you. Your luggage will be placed in a designated luggage drop area near the start and finish line, in color coded piles correlating with your color parking lot. Once you return from the ride you will find yours items and can set up camp. Thinking about coming early? No problem! You can park your RV, pitch your tent, or sleep in the large circus-sized tent provided by the National MS Society on Friday night to get a jumpstart on Saturday morning. Cyclists will be responsible for their own bikes on Friday. There is a fenced area where you can lock your bike for security. If you are camping out Friday night, please bring a bike lock. Check-in will begin at 6:00 a.m. The ride starts at 7:00 a.m. on both days. Plan on arriving early! To save time at check-in, please plan on attending one of the packet pick-ups before the ride. Cell phones, MP3 players, and other digital devices WILL NOT be allowed on the route due to safety reasons. Cyclists can choose from three route options on the first day: 36, 75 or 103 miles. Participants who ride the short route will be bussed to the finish line once they have reached the 36-mile marker. After the ride, bikes will be secured for riders until Sunday morning. The route will close at 4:00 p.m. on Saturday. Visit the Route page for maps, turn by turns, support and safety information, and more. Lunch is provided by Subway and offered at Rest Stop 3 (the last stop for the 36-mile route option). Please note that lunch on Day 1 is for participant’s only. Non-participants will be responsible for their own lunch. After the ride on Day 1, hang out with other cyclists and celebrate each other’s accomplishments in moving toward a world free of MS. The evening includes a catered dinner, live music, dancing, a live auction, program, and New Belgium beer and more! Visit the Saturday Activities Page for details on Dinner, the Overnight Celebration and Sleeping Arrangements. 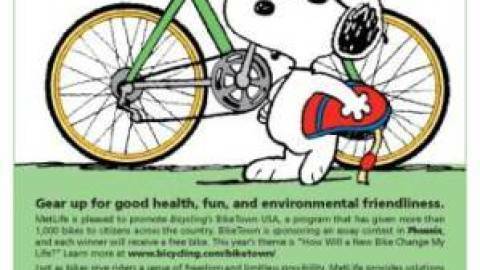 The ride starts at 7:00 a.m.. Riders may retrieve bikes starting at 6:00 a.m. Sunday morning. 5:00 a.m. – 7:30 a.m. The morning will start with a pancake breakfast provided by the Association of Florence Firefighters, IAFF Local 4512 and East Valley Firefighter Charities. Coffee and juice will also be provided. Breakfast is available to non-participant family and friends for $6 per person (Payment is check or cash only). The pancake breakfast opens up to the public for a small fee. Pricing will be available soon. Cyclists can choose from two route options on the second day: 27.5 or 51.7 miles. Participants who ride the short route will be bussed to the finish line once they have reached the 27.5-mile marker. The route will close at 2:00 p.m. on Sunday. After crossing the finish line, participants will enjoy a catered BBQ lunch from 10:00 a.m. -2:00 p.m. at Heritage Park. Lunch is free for participants and volunteers. Lunch is available to non-participants for $6 per person (Payment is check or cash only). Participants are responsible for their own transportation home. A large circus-sized sleeping tent will be available for participants to sleep in on both Friday night and Saturday night. Please bring your own sleeping bag and pillow. Shower trucks will be available all day Saturday and Sunday. Participants must provide their own soap and towel. Massages will be provided at the finish area on Saturday and Sunday and are available in 15 minute time slots. The massages are free but tips are appreciated. A VIP tent will be available Saturday and Sunday afternoon for our Round Up Ride VIPs. Inside will be free goodies for VIPs to enjoy. Access to the VIP tent is provided only to individuals who raise $1,500 or more by Wednesday, March 26. Check the Fundraising Page for details on VIP tent activities. "Strip and Ship" is provided along the route. Riders may take off jackets and sweatshirts at rest stops. Items are bagged and marked with a rider number and get transported to the finish area for your convenience.